Enjoy the finest gourmet coffee in both rich full flavored blends and decaffeinated coffee. We roast our gourmet coffee fresh and ship it to you direct so you know it tastes the best. gourmet coffee Our Baby's Gourmet Coffee Don't forget your Baby's Coffee! Great gourmet coffee roasts in regular, flavored and decaf! Baby's Coffee merchandise Baby's Gear & Mugs A blend of full city and dark roasted coffee that will please even the most die hard stand-your-spoon-up-in-the-cup coffee drinker. - SPECIAL INTRO PRICE - ORDER NOW! Late, last century (circa 1991), Gary & Olga. left the Big Bad Apple (NY), looking for a home for their new coffee roasting company. They set up shop in a small building on the uptown side of Key West's famed Duval Street. In the 1920's, an old Cuban family had owned this building and christened it "Baby's Place", after the family's youngest son. "Baby" Rodriguez grew up and ran a cantina there where, legend has it, Ernest Hemingway indulged in the occasional crapshoot with locals, known as "conchs". Inspired, Gary and Olga. adopted the Baby's name and let the dice roll one more time. 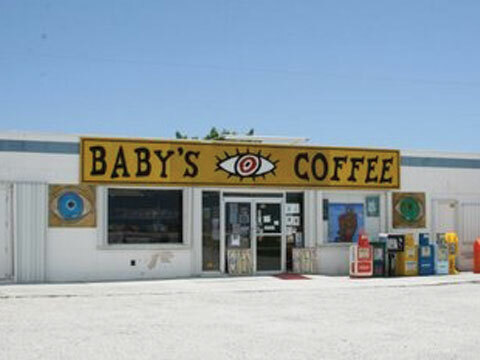 Gourmet Coffee Baby'sâ„¢ quickly became--and continues to be--the Southernmost Coffee Roaster in Americaâ„¢. Gary perfected his own proprietary brands, roasting coffee in small batches to ensure freshness, consistency and the very highest quality in every cup and bag of Baby's Coffeeâ„¢. One day, Baby'sâ„¢ got too big for Duval Street. They relocated to the northernmost corner of Key West at Mile Marker 15 and U.S. 1 to accommodate their growing mail-order coffee company. There, nestled on a spit of land resting up against the only highway in or out of the Keys, they continue to produce a magnificent cup of gourmet coffee!